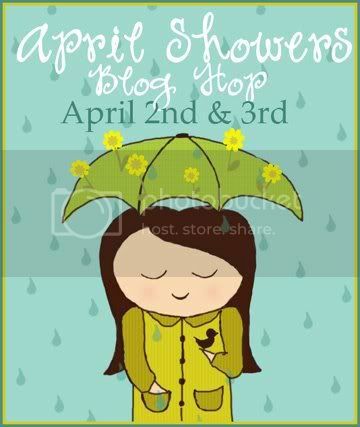 Coming soon ~ April Showers Blog Hop!!! I have some exciting news....look what fun is coming up this weekend!!!! You will have to come back on Saturday for the two day hop. I'm so excited to be a part of this. I have some great cards made. I just have to decide which two that I'm going to be using for the hop. I am also part of another site Cricut Diaries for the month of April. I'm their Tuesday Girl. I have some fun projects to post there for them as well. I just noticed today is my Blogoversary....I can't believe it's been that long!!! I've had my blog now for 3 years!!! There's so much that's happened in that 3 years. I'm happy to have so many followers. Thank you for following along with me. I will have the post up and running for the blog hop with directions of where you start and where you'll be headed. I can tell you this is going to be a fun hop and there are many very talented crafters in the hop so you'll have many ideas to walk away with and create for your April Showers fun. Have a fun filled day!! !